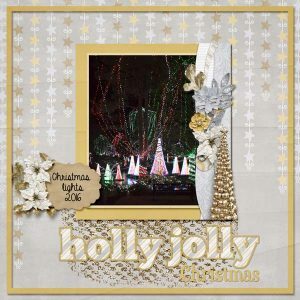 Featured Designer at Gingerscraps with Daily Downloads! 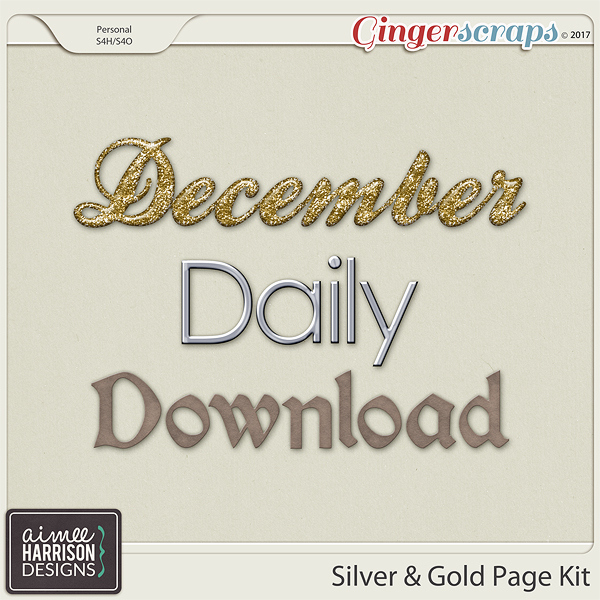 This month I am the featured designer at Gingerscraps and there is a daily download EVERY SINGLE DAY at the Blog! 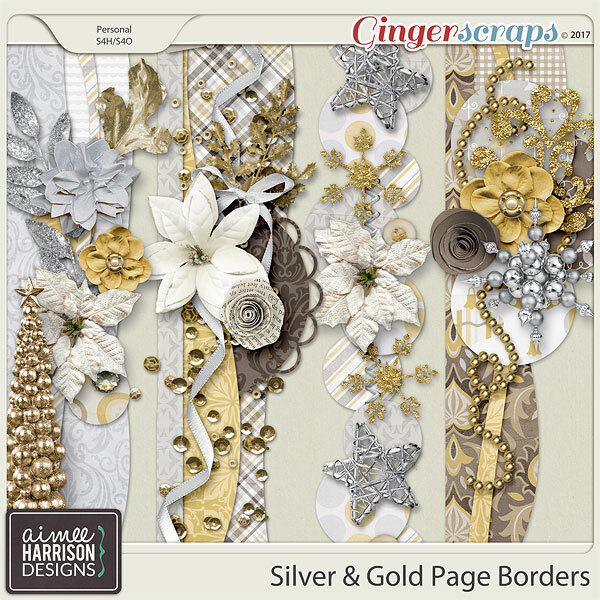 I also have a challenge at the GingerScraps Forum so please check it out HERE! Here is a sneak peek at the collection. It will go on sale for 50% off on January 1st. 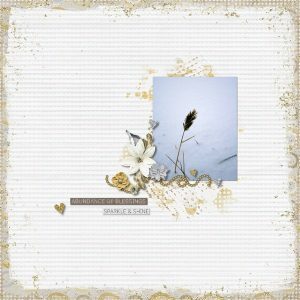 « Simply Christmas is on Sale! I’m so glad I stopped by your blog today. 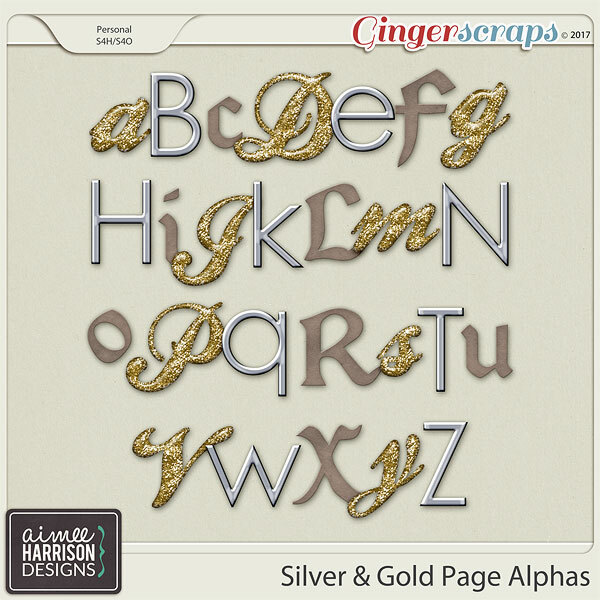 I’ve been following the GingerScraps Blog Freebie for this month and am really enjoying it. But there is something kind of funny. I’ve been referring to this kit as “Season of Love” because that is what is peeking through the preview window. 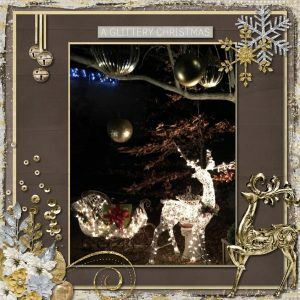 I like the name “Silver and Gold” a lot better because that is exactly what the kit is; beautiful things that are sparkly and warm. Thanks so much for your contributions on the GS Blog.